My experience working with Ric at the Woods Cross location was superior. He was very helpful, patient and addressed the concerns I had with buying a branded title car. Thanks Ric. Outstanding Customer Service. I purchased a car in Colorado Springs and had some We Owe items that the customer service group out of this office was taking care of for me and let me tell you that Kyler has gone well above and beyond all my requests. He called every time he told me he would, he went to bat for me, and he has exceeded my expectations on what a customer service rep at a car dealership can be! I would do business with Auto Source again just to have the opportunity to have this level of customer service again. In the age of text messaging and online interactions Kyler was a breath of fresh air of how old school AMAZING customer service works! I purchased a car from the Draper location and realized a week after I had it that one of the tires had a slash on the side. I called customer service and had the privilege of speaking with Jamie Meissner. She took charge and saw it through start to finish. They were able to replace the tire for me. The only thing I had to do was take the car in and sign when it was done. No hassle whatsoever. Thank you Jamie for everything. this is one of the most unique car dealerships I have ever been in. their inventory is top-notch as is their employees you are very courteous knowledgeable and efficient. The presentation in the dealership is very professional and there lot is clean and the cars are displayed well. There reason I gave you 4 stars on facilities is you Just need more parking love your customer service, employees and prices. I will never go to anyone else. Low pressure sales and a great experience all around. Our salesman, Diego, was great and answered all of our questions. The BEST experience ever! I went in to test drive a Subaru but ended up falling completely in love with a GMC Terrain within the first 10 minutes. I was in and out with a new car in an hour and a half! Everyone was so friendly and made me feel like they weren’t just in it for the bottom line! I will definitely be buying more vehicles from Auto Source in Lindon!! I rarely leave reviews but we've had such a good experience with Autosource that I decided it would give them a great review. I know many people are generally fearful of vehicles with rebuilt/salvaged titles. Over my life I've had half dozen or so rebuilt title vehicles and I've never had a problem. The key is to do your homework, find a place you trust, and then just have a reputable body shop/mechanic check out the vehicle before purchasing. I love Autosource because they were 100% transparent on how the vehicle was damaged. They didn't try to hide anything and they back everything with a 3-month, 3,000 mile warranty. I took it to a body shop and found one small issue in the suspension that needed an adjustment. Autosource paid for it, no questions asked. They're also great because if you need financing, they can hook you up. They gave me a very fair deal, were very transparent and helpful, weren't pushy at all, and they fixed the small issue that a professional found without a complaint. On top of that, I love the car and I saved thousands over buying news. I would highly recommend Autosource! Ben is a very honest and helpful salesman. He listens to all of your needs and will treat you the best! I would highly recommend to anyone! We had an awesome experience! Nisho was extremely helpful!!! We went in to look at two cars. They were pulled out front and ready for us to drive before we even got there. He was very attentative and not pushy at all. When we decided to buy, he made the process very comfortable and smooth. I have purchased over a dozen cars in my life, and this was easiest/best buying experienced to date. Thanks Nisho!!! Corey was great and really help speed up my car buying process and made me feel very relaxed. Great dealership with very friendly sales reps and a great place to buy your next car. I drove down from Greeley to look at a 2017 Chevy Cruze Hatchback and wasn’t sure if id be able to do things easily since my current vehicle wasn’t paid off all the way. I was in search of a new vehicle because I was paying on my loan and having to keep getting the vehicle fixed. Luckily they were able to give me a trade in value and get me financed for my new vehicle in less than an hour or two!I also think a lot of people are skeptical about their vehicles because they are branded titles, however, they do understand this and did their best at explaining what a branded title is, the history of the car I was interested in and the work they put into it so make the title an approved vehicle to sell with a branded title.I love my new vehicle and they made the experience even better than it already was. Jacob G. was great and I appreciate all of his help. He was very friendly and knowledgeable. Ask for Jacob! Clint was pretty badass, I recommend this place if you are looking for a car dealer you can actually deal with and talk to without getting angry. We got a great car at a great price without any stress. Thanks so much!! It was a better experience and I'm pleased with what i got. Thanks. It would be good if we had known up front what Autosource does. However, Nate was efficient and friendly, and the process was less painful than previous car buying experiences. Worked with Caleb, did excellent job. Whole experience at Autosource very professional and hassle free. Will recommend to people I know that are looking for a new car or truck. Very easy to work with. Great vehicle knowledge, love the out-the-door pricing. Staff bent over backwards to make sure we were taken care of. You can tell these guys love what they do. I had a great experience buying a 2015 f150 from Shawn. These guys are very honest about the vehicles history and will help make sure it's the right buy for you. They have a large inventory and are very approachable. I'll buy here again in the future. Bought a car here excellent experience! AutoSource is a great option for buying a used car. They weather your local or coming in from out of town. I'm an Idaho resident that lives out of state due to being in the military. When I found my car online I gave them a call and had everything arranged before I even arrived. Sally and the team even came to pick me up from the airport. Then all I had to do was test drive and sign. It was quick and easy to work with the team even made sure that I had everything I would need before I took off. When we need our next vehicle I will be looking at AutoSource first. If you're worried about buying a rebranded title don't. The cars at AutoSource are all thoroughly inspected and in great condition. My car drove like a dream all the way on my big trip back home. 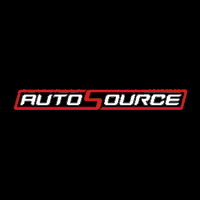 Auto source made buying a car easy and stress free. The people there are a class act. Met most of them while I was there picking up the beast. I was in and out driving my new truck in a cpl hours. Give Jonathan a call and see what he can do for you. This is by far the best place to find a great vehicle at a great cost . The customer service is extremely helpful and everyone goes above and beyond to help get things done.